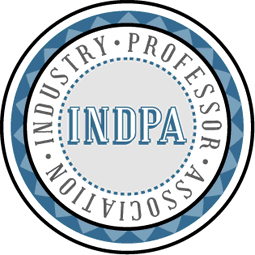 Industry Professors Association (INDPA) is a non-profit organisation that helps members capture and convert their extensive industry expertise into digital learning products that can be shared with global learners for the benefit of all. INDPA helps members teach what they have learned and so profit from their experience. Cutting out the middleman in higher education, or disintermediation, could be a boon for professors. If the approach pioneered by StraighterLine and Udemy takes off, adjunct professors in particular could have a new avenue to hawk their wares. New online platforms are allowing professors, teacherpreneurs and people with extensive industry knowledge to create new revenue streams without the need to secure Educational Instutional employment. ← The Freelance Professors are Coming! Free Accounting Lessons through Video. How will higher education be disrupted? What will replace it? Pop-Up Human Capital: A new employment/educational model for teacherpreneurs.